Finding good sound sets can be a task. It seems lately companies have just been taking the standards, dousing them in effects, and calling it “original”. 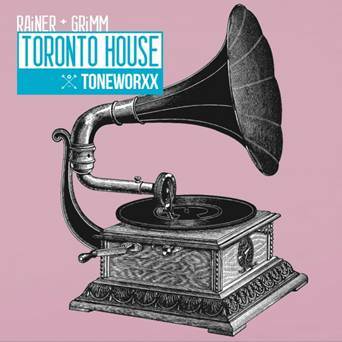 The guys over at Toneworxx and Prime Loops don’t subscribe to this approach and have tapped Toronto remix duo Rainer & Grimm to not only develop a sound set that caters to their signature style, but to also provide you with loops and even midi files. This gives you the option to integrate loops they’ve created into your own projects. Simply place each of the very well labeled .mid files into your sequencer or DAW of choice and as easy as that, you can add your own flavor with the virtual instrument of your choice. This is a great tool that many sample set producers will not let you have. It seems other companies like to keep their cards too close to their chest. Not Prime Loops. The package comes in a very nicely arranged zip file with a dry version and an effected version. Each of the sounds in the folders corresponds to one of the 5 song sets they’ve already assembled for you. As far as the package goes, for drums you get 5 kicks, 8 HiHats, 3 Claps, 2 Snares, 4 Percs, and 2 Cymbals. Some of the samples come with a version with effects added as well. You also get 19 Synth one shots, 3 vocal one shots (each having dry or reverbed), 9 Vocal loops, 32 synth loops, and 15 bass loops. You can pretty much drag and drop sections of the loop files into your DAW and you’ve got full songs that you can add your own personal signature. Overall I love the file structure and the sheer amount of options Prime Loops gives you. The fact that you’re not just given a folder with one shots and a couple of loops makes the process of using the sample pack much more fun. The samples are already mix quality and take the burden of having to process them to work in real world mix environments. One of the things that stood out most is having the midi file chord progressions to use with your own sounds. I could transpose and use other products while still retaining the feel of the original pack. Coming in at $24, you’re given a lot of content, clocking in at around 233MB. The One shots sound great but I do wish the pack came with a few more drum sounds. The samples sounded so great it left me wanting more which in retrospect is exactly what a company would want. I’m going to be picking up quite a few of their libraries very soon. If you’re looking for a great signature pack with high quality house style, you’ve found your package with Rainer and Grimm: Toronto House.